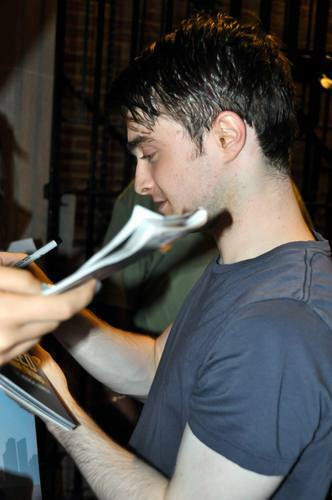 This Daniel Radcliffe photo might contain sign, poster, teksto, and pisara. dan and erin patong lalaki spotted kissing!!! !